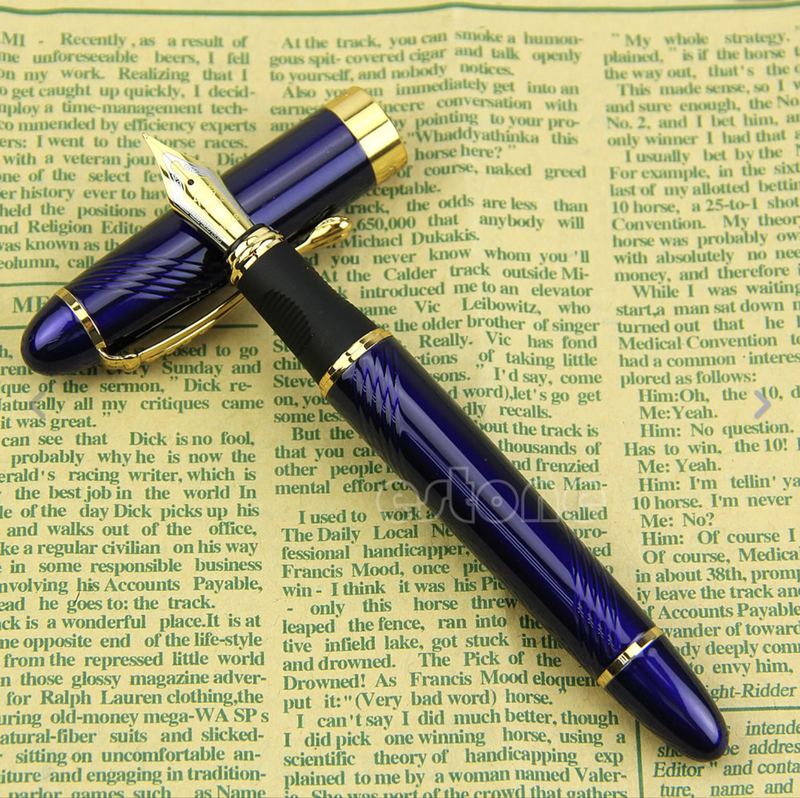 I just happened across these awesome Jinhao Fountain Pens and ordered a blue one (inspired by Fire and Ice, which is just one chapter away from being published 😁) and grabbed a set of ten blue ink refills to go with it. A fellow writer who told me about them said they write smooth, and I’m excited to get them in the mail and try them for myself. I’ve always loved calligraphy and vintage things. What other cool writing gadgets have you guys found that you just love or can’t live without? Leave a comment if you have something to share. P.S. I’m still hoping Santa will bring me one of the typewriters that connect to my iPad. Previous Previous post: The Vanquished–Black Friday Givaway!